11 v. 11 Showcase Matches. A 4:1 camper to staff ratio. -11 players from the same team, each player will a $25 discount. $250 deposit is non-refundable unless you purchased camp insurance. The $250 non-refundable deposit applies to all campers regardless of injury or illness. For campers who have paid in full, all cancellation requests must be submitted to info@vusoccer.com prior to the start of the camp in order to receive a refund of the additional monies over the $250 non-refundable deposit. No refund will be issued for campers who do not show up for camp without any prior notice. USYSA Regionals/Nationals/ECNL Playoffs. If your team makes USYSA Regionals/Nationals, ECNL Playoffs or USDA Playoffs/Nationals and the dates conflict with the Nike Showcase Camps, we will refund your money minus a $50 administrative fee, provided written notification is provided at least 10 days prior to the start of camp. One Day Camps will be offered throughout the 2019 camp season. They are a great way to be seen by the Villanova University Coaches, as well as many other D1, D2, D3 College Coaches. Additionally, every camper will receive a College Recruiting Seminar, an intense College-Like Training Session, a Player Evaluation, & a Campus Tour. For the One Day Camps on February 17th & 24th, there is no guarantee that other College Coaches will be in attendance. We will invite 5-10 coaches but attendance from the coaches is optional. The Camps will usually run from 10am – 2pm. For the July One Day Camps, we can guarantee that there will be 10-25 College Coaches in attendance. More information about the list of coaches in attendance can be found under the College Coaches tab on the home page of this website. The camps will usually run from 9am – 4pm. 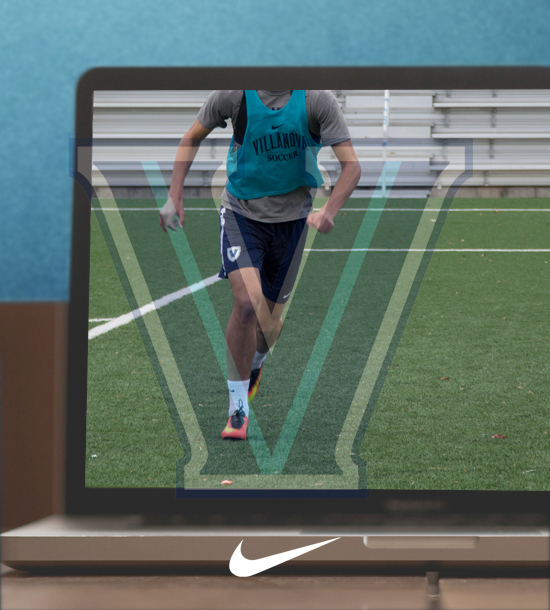 Villanova Soccer offers the ability to bring our Villanova Way training curriculum & championship mindset to your High School/Club. It is an innovative approach on how to bring our technology, personnel selection, training habits, champion mindset, team building, fitness periodization, strength & conditioning techniques, nutrition/nydration methods, and much more to your program or club. We delve deep into “What It Takes” to run a successful program from the top to bottom, at all levels. The all-hands-deck approach will bring our Coaches, Players, Strength & Conditioning Staff, Administration to your club or high school in an effort to teach you how to build a truly excellent organization from the top to bottom. We will provide a tailor-made fitness periodization plan, a year-long technical development curriculum, a player/coach skillset selection criteria, and a team building approach. Be seen by 25-100 NCAA Coaches from best D1, D2 & D3 Colleges/Universities. 100% Guarantee to be seen by every coach in attendance. Every player receives a free 1-month subscription to FIT FOR 90. A College Coach will coach every practice & game. All games are played 11 v. 11. Player friendly refund policy. See Camp Info tab for more details. College recruiting seminar from D1, D2 and D3 coaches. “What Parents Need To Know 101” information session. Players are given the skillsets needed to achieve their goals. US News & World Report Top 50 nationally ranked Villanova University. Nationally recognized BIG EAST Conference campus. We represent 49 US states & 44 countries across the globe. o 4:1 coach/counselor to camper ratio. Small group sessions with College Coaches. Pre-game festivities before every game. Unlimited Gatorade for every player at no additional charge. Certified Athletic Trainers to assist players throughout the week. A 3:1 Camper to Staff ratio. What an awesome week. I learned so much from the college coach who worked with my team & learned a lot about myself as I was performing in front of the 75 coaches who watched me play throughout the week. It didn’t always go great for myself on the field but because I am only a freshman, I look forward to coming back next year to your camps to improve upon last year’s performance. Thank you so much for the opportunity to play in front of so many college coaches. I have been contacted by several coaches after the camp and I want you to know that it was because of your camp. I really appreciate the extra time that you spent with my son at camp. He has a high interest to play soccer in college but unsure of the level in which he should set his sights. The evaluation and most importantly your conversation with him after seeing him in the all-star game really put things into perspective. He feels much better about the recruiting process going into his junior year and even had a few coaches contact him after the camp. What Does Residential Camper mean? What Does Non Residential Camper mean? Residential Camper means that you will reside in the resident halls at Villanova University throughout the camp week. Sullivan Hall on Main Campus or any of the Resident Halls on South Campus are typically where we reside. Non-Residential means that you are at camp from 9am to 9pm yet do not reside in the residence halls. Non-Residential Campers will arrive at the end of check-in on the 1st day and stay until the camp ends at 8;30pm. On the 2nd & 3rd days of camp, Non-Residential Campers will arrive before the first session & depart after the last session, which is generally around 8:30am to 8:30pm. Non-Residential Campers only eat lunch & dinner on these days. On the 4th day, Non-Residential Campers arrive before the first session and leave after closing ceremonies around 12 noon. Times will vary by 30 to 45 minutes per the schedule of the week. -5-6 players from same team/club, each player will receive $59 discount. -7-10 players from same team, each player will receive a $79 discount. -11 or more players from the same team, each player will receive a $99 discount. -Team Discounts not offered unless otherwise discussed with Coach Carlin based off of bringing 20 or more players to campus for a day. How do I register for camp? Complete the online registration. (Links provided on the homepage and the 'Camps' page.) Be sure to supply all requested information and to acknowledge the medical and concussion waiver with your signature. Please make sure the email you register with is the email you check MOST frequently. Can I register with a deposit? Yes. During the registration process, click the 'Deposit.' option. PLEASE REMEMBER to keep your confirmation email with the link to pay the balance due. One month prior to the start of camp, please use this link to pay the remaining balance. What paperwork do I need for camp after I Register? Schedules will be given to campers and parents at check-in and not before. We are constantly making changes to the schedule due to changes in the registration information. Below is a typical schedule for our overnight camps. For the Camp Schedule on your Upcoming Camp, click on the IMPORTANT DOCUMENTS tab in the right hand corner of this page (above) or CLICK HERE. Then Download the schedule. Is it guaranteed that coaches will see me play? Yes, we guarantee something that tournaments cannot; ALL coaches in attendance will see you play for at least one full game. How many games or training sessions and games should I expect? Field players should expect at least 2 training sessions and 5 games. Goalkeepers should expect a minimum of 2 GK specific training sessions with 5 games. Is there additional training available? 3 additional position specific trainings are available for all Field Players and Goalkeepers. Please check the website under Additional Options for more information on the additional 3 training sessions. There is an option to add the additional training as an add-on during registration. If you have not added in this additional training during registration than please contact info@vusoccer.com so we can add it. Non-Residential Campers: Dinner on Day 1, Lunch & Dinner on Day 2 & 3 are included in the price of the camp. Remember, on Check-In Day, Dinner will be your first meal with campers so make sure to eat lunch on your own. Residential Campers: Need to bring bed linens and pillow(s) for a standard twin bed, towels for extra showering, soap, shampoo, toothbrush/toothpaste. *IMPORTANT PLEASE NOTE – Residential Campers will be carrying bags and items you bring for the week from your car to the resident hall, which occasionally can be a lengthy walk so PACK LIGHT! Heavy items such as bulky coolers, fans, TV’s, are not recommended. Is Water and Gatorade provided at the fields? Yes. Every field will have an unlimited supply of Water and Gatorade provided for every camper. Do I need to bring a Soccer ball? Yes. All campers need to bring a soccer ball. 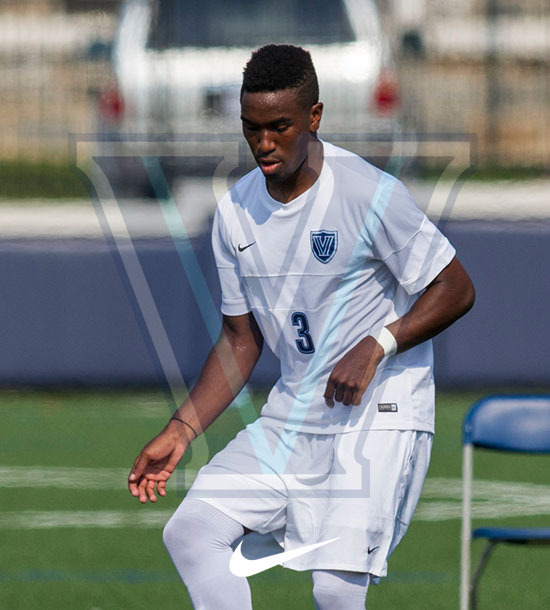 Villanova Camp Soccer Balls are available for purchase during registration & check-in. All Campers should bring cash for additional food, beverage, snacks & LIMITED EDITION clothing purchases from the camp store. During check-in, you will have the option to add cash to a camp bank. Each time the camper makes a purchase; we deduct it from the balance. This way camper will not have to carry around cash. At the end of camp, the remaining Camp Bank balance will be refunded to the credit or debit card used during registration. Non-Residential Campers: Registration & Opening Ceremonies immediately following will happen at the end of the Residential Campers Check-In designated times. See Sample Schedule! Check Out will follow Closing Ceremonies on the last day typically held around 11am to 12 noon. See Sample Schedule! -Non-residential campers must sign in and sign out at the Camp Store each day. On the 2nd & 3rd day, Non-residential Campers can expect to be at camp approximately from 9am to 9pm. One Day Campers (9am-4pm): Registration will be from 8:30am-9am typically at the Higgins Complex. Opening remarks will take place at 9:05 am. We will notify you about the location one week prior to the camp. As stated, it typically will be in front of a resident hall on South or Main Campus or the fields at the Football Stadium, Higgins Complex. Are parents invited to attend? Parents are encouraged to attend the Check-In, Opening Ceremonies, Check-Out, & Closing Ceremonies. Additionally, parents are invited to watch the training sessions & games. However, parents are prohibited from coaching or having significant contact with any campers other than their son or daughter per the PA State Law unless proper Background Checks are submitted to our staff. Which NCAA Coaches are attending Camp? 2019 Coaches will be announced by the beginning of January 2019, but we do expect for 75% of the College Coaches from the 2018 staff to return. What happens if a College Coach cancels? Please watch the 'College Coaches' page. The list is updated on a weekly basis. In the case of a coach cancelling, we will make every effort to replace them with a coach at the same University/College. We do reserve the right to modify the college coaches listings as needed due to cancellations. Refunds are not given based on the status of College Coaches. How do the camps help with the college recruiting process? 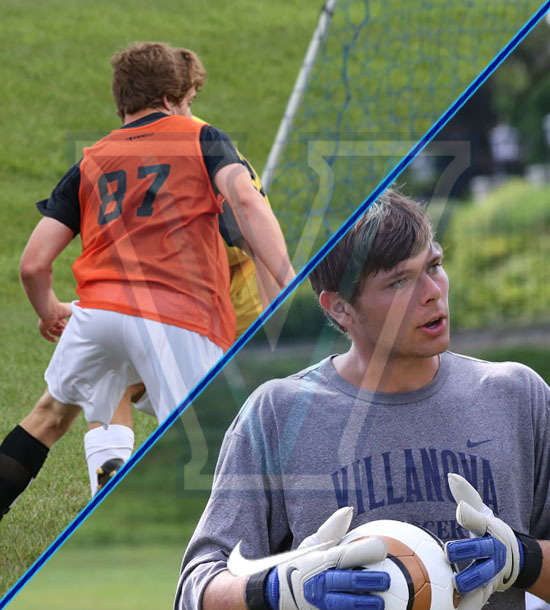 Villanova Soccer Camps guarantee exposure to EVERY NCAA Coach in attendance. Each coach will receive a recruiting packet with the campers information and pinnie number so coaches have what they need to contact the players after camp. Every camper has a great opportunity TO BE SEEN by every coach not only once but on multiple occasions. Additionally, the Nike Showcase Camps assist players with valuable information on the recruiting process, an inside look at the attitude & habits it will take to play college soccer, and access to D1, D2, D3 current players to mentor them through the process. Can I invite a College Coach to attend? Yes. Villanova University is located near many other Division 1, 2, & 3 programs so be sure to email coaches not scheduled to attend our event and invite him to come to our camp and watch you compete in the showcase. Where is it located? The Camp Store is located in the resident hall where the campers will reside during the week. Campers should bring cash for incidental or merchandise purchases from the camp store. Is a Camp Bank Offered? Yes, for all Residential & Non-Residential Campers. Campers should bring cash for additional food, beverage, snacks & LIMITED EDITION clothing purchases from the camp store. Each time the camper makes a purchase; we deduct it from the balance. This way camper will not have to carry around cash. At the end of camp, the remaining Camp Bank balance will be refunded to the credit or debit card used during registration. Is there transportation provided to and from the airport for out of town campers? No. Campers will need to make individual arrangements. Email us at infor@vusoccer.com for recommended shuttle services. Otherwise, campers should use Uber, Lyft, train, taxi, or bus. You will need to contact the hotel to make reservations. Rooms are not guaranteed without a credit card or one-night cash deposit. Please refer to VILLANOVA SOCCER CAMPS when placing your reservations. Please contact the Reservations Department. The discounted price will be good up until one month before the start of camp sessions. Room Requests after this release date will be subject to availability at the prevailing rate. We highly recommend that individuals make their reservations as early as possible. Other suggested areas to check would be Philadelphia Marriot West Conshohocken, Villanova Conference Center, and King of Prussia, Plymouth Meeting, or Conshohocken areas. Non-Residential Campers: Registration & Opening Ceremonies immediately following will happen at the end of the Residential Campers Check-In designated times. See Sample Schedule! Check Out will follow Closing Ceremonies on the last day typically help around 11am to 12 noon. See Sample Schedule! One Day Campers (9am-4pm): Check-In will be from 8:30am-9am every day. Opening remarks will take place at 9:05 am at a designated location. We will notify you about the location one week prior to the camp. It typically will be in front of a resident hall on South or Main Campus or the fields at the Football Stadium, Higgins Complex. See Directions to learn more. -Check-Out will typically be held at 4:05pm on the field at the Villanova Football Stadium, Higgins Soccer Complex. Information will be sent one week prior to camp about the location. What else do I need to know about Check-In? On Check-In Day, Dinner will be your first meal with campers, so make sure to eat lunch on your own. Opening ceremonies will begin immediately following the Check-In so try to get to Check-In 30 minutes before the schedule has it ending. Can I choose a roommate? Yes. There are two campers to every room. Campers can request a roommate during online registration. All roommate requests need to be submitted no later than one month prior to the start of the event in order for us to accommodate. We do try our best to accommodate all requests. PLEASE only request a camper who is already registered and make sure to have discussed your request with the other camper. Can I stay in the resident halls on campus the night before camp if I arrive early? No..
Can I choose my camp teammates? Yes, but there are no guarantees that we can accommodate every camper with this request as teams are put together per age and position. If your high school or club team sign up for camp together, we can guarantee that your team will be together. 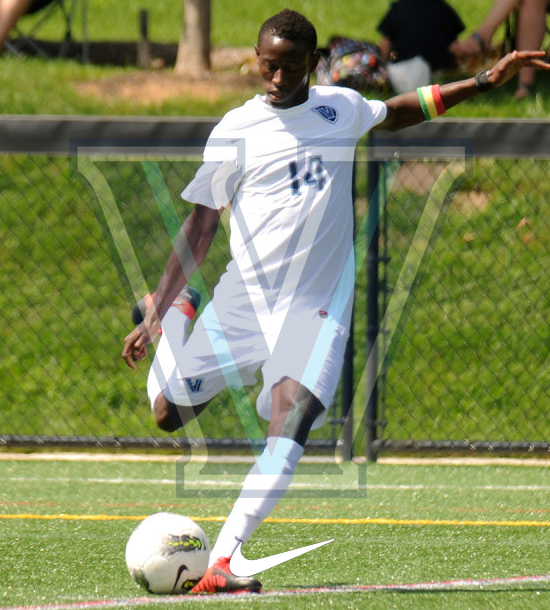 However, please email infor@vusoccer.com to request a team registration portal. Are Team Discounts Offered? Yes. Teams are welcome to register for any of our events. Please contact us by email at info@vusoccer.com with the subject line of “Team Discount” to learn more about the team registration portal. There is a $250 non-refundable fee for residential & non-residential camps unless you purchase Camp Insurance. Camp Insurance will guarantee a refund of all money paid minus a $50 administration fee. For example, if you paid a deposit of $250 for the week of camp plus the $50 camp insurance fee than you cancel the day before the camp, you will receive a $200 refund. There is a $150/250 non-refundable fee for one day camps unless you purchase Camp Insurance. Camp Insurance will guarantee a refund of all money paid minus a $25 administration fee. For example, if you paid a deposit of $150/250 for the week of camp plus the $50 camp insurance fee than you cancel the day before the camp, you will receive a $125/$225 refund. What if a camper is injured before Residential/Non-Residential camp starts? If your team makes USYSA Regionals/Nationals, ECNL Playoffs or USDA Playoffs/Nationals and the dates conflict with the Residential, Twilight or Day Camps, we will refund your money minus a $50 administrative fee, provided written notification with detailed playoff information is provided at least 10 days prior to the start of camp; otherwise there will be a $250 cancellation fee. What if my child needs to take certain medications? During registration, parents/campers must inform the certified athletic trainer or coaching staff of any medications that the campers are taking. Parents should provide only the necessary doses of medication, which a camper is required to take during the duration of the camp. In accordance with Commonwealth of Pennsylvania laws and University policy certified athletic trainers cannot dispense, administer or hold on to any medications for campers. Campers will self-administer all medication. Campers should be comfortable with self-administering their medication in the proper doses and schedule. If refrigeration is necessary for medication than there will be a secure refrigerator provided by the camp operators. Please email us at info@vusoccer.com or call us at 610-519-7266 with any questions or concerns. .